Chartered Physiotherapy Care is a friendly and exceptional physiotherapy practice established as a family run business in 1999. The practice is currently run by Jason Ellis who has a BSc in Sports Therapy and a MSc in Physiotherapy. Jason is a member of the Chartered Society of Physiotherapists and the Health Professional Council along with various other organisations. Sports Science Manchester United Football Club. 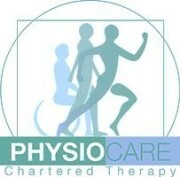 Physiotherapist Hartlepool United Football Club. Neurological Co-ordinator for Multiple Sclerosis. Member of BUPA Healthcare and ACPOHE. Our services are designed not simply to provide therapeutic healing but also to deliver preventative measures to maintain your wellbeing and increase your performance levels. Our expert and friendly team use sophisticated modern techniques to provide you with the best in personalised treatment.